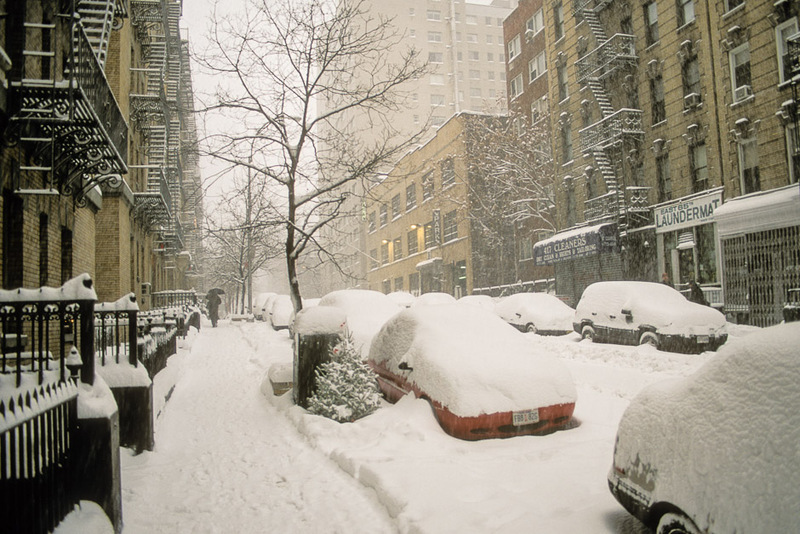 On Friday, December 29, 2000, 1010 WINS, the all-news station in NYC, reported that New York City was expecting 6-10 inches of snow in the 12-hour period starting at about 8:00am on Saturday. 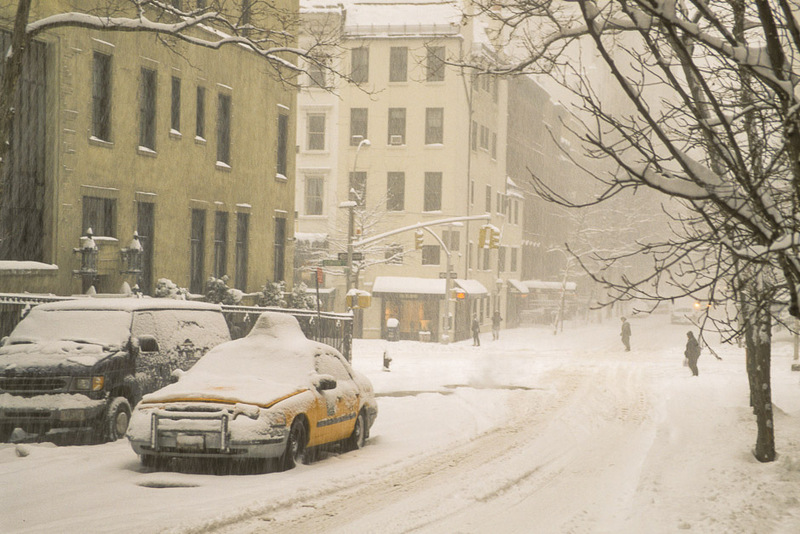 Knowing how beautiful NYC gets when covered with snow, and knowing that it only looks beautiful for about 10 minutes after the snow stops, I prepared myself to go out at about 10:00am. That way, the snow would have fallen for about 2 hours, which I figured would give the city a nice covering. I managed to get out of bed around 9:30am, dragged myself to the bathroom, and noticed that there was a lot of snow visible out the window. I flipped on the TV to NY1 (NYC all news TV station) and found out that the snow started at about 4:00am, four hours early! 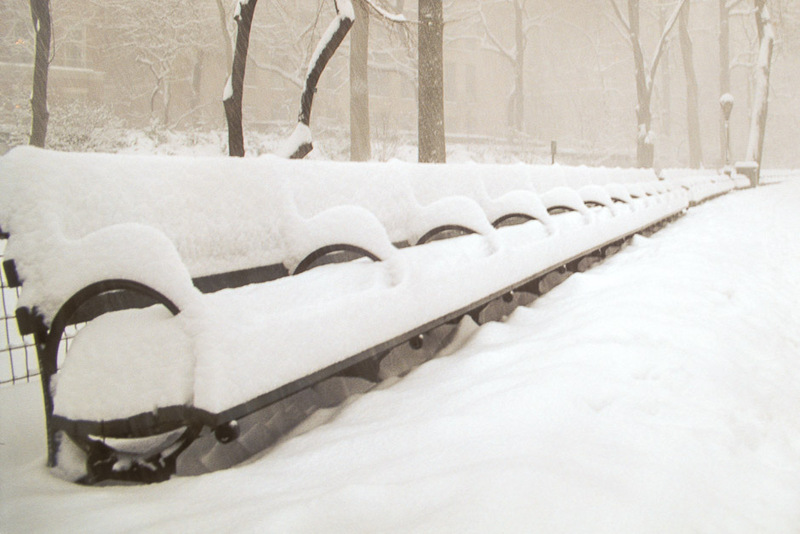 6-8 inches had already fallen in Central Park, and the blizzard was not even half over! I grabbed my camera gear and headed over to Central Park (I did get dressed first). 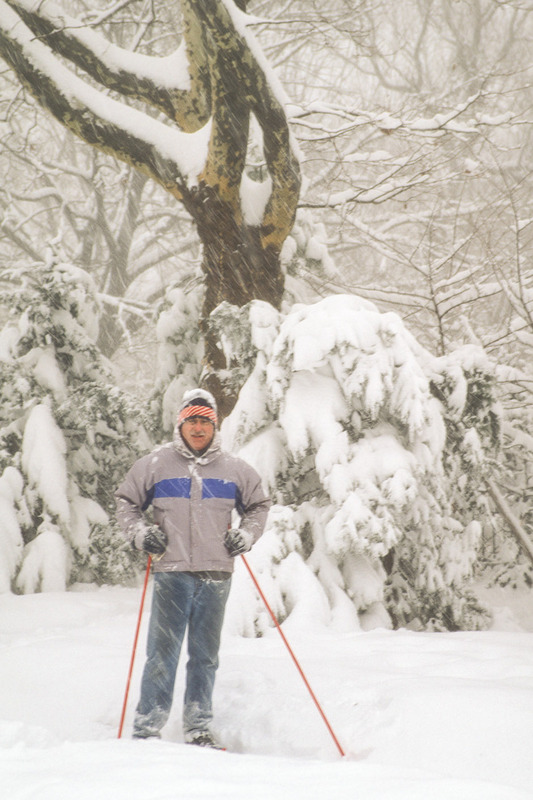 As I was walking to the park, I called my father on his cell phone and found out that he was cross-country skiing in the park. We decided to meet. As I got to Fifth Avenue at about 65th Street, I called my father and he said that he was on the East Drive near a light pole marked 6402. I used my keen grasp of the obvious to deduce that he must be around 64th Street. I headed into the park, found the East Drive (not as easy as it sounds since everything was covered with snow), and found the light pole marked 6402. I looked around. No father. I called him again, and told him that I was standing next to light 6402. He said that he was also near 6402. I looked around again, and still couldn’t see him. He suggested that I wave my arms around. I did (probably looked pretty funny too). It was snowing pretty heavily and visibility was probably between 50-100 feet, but he said that he couldn’t see me. I could see other light poles in either direction, but still, no father. I finally told him that I was near The Dairy. “The Dairy?” he said, “That’s no where near the East Drive! Wait there, I’ll come get you.” Now, I may not be that great at directions, but I do know that The Dairy is in fact near the East Drive. About three of four minutes later, I see him gliding towards me on his skis. First thing he said was, “Show me the pole.” I pointed to the pole. He looked at the ‘E6402’ sign on it. Quietly, he said, “Oh. I see the problem.” He was waiting by pole ‘C6402’ – he was on the Center Drive the whole time!